Melt fat and build lean curves with these high protein, low carb dinner recipes. It doesn’t matter how hard you push yourself in the gym or on the track. Without the right diet to nourish your cells, feed your body and support your fat loss journey, you’ll never achieve your goals. 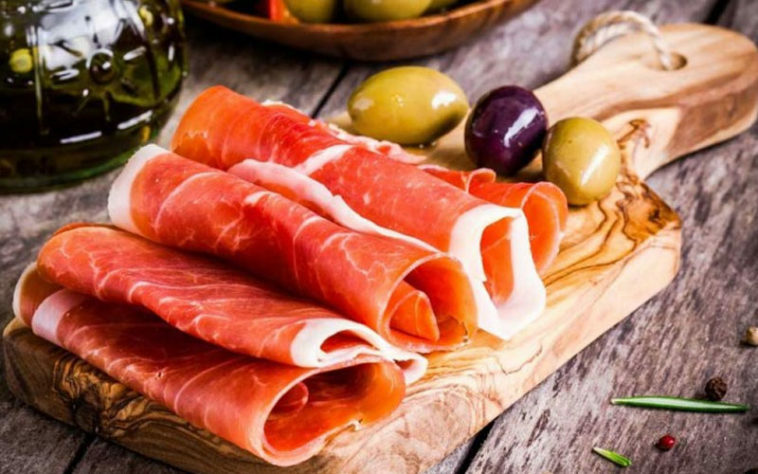 In this guide we give you access to mouth-watering high protein, low carb dinner recipes. That way you’ve got everything you need to shred excess body fat, tone your muscles and ramp up your fitness. If you’re following a diet that restricts carbs but focuses on the power of protein, these will slot in seamlessly. And with holiday season just around the corner, it’s the perfect time to put yourself first and work on that figure. Not only do these recipes taste awesome, they work too! 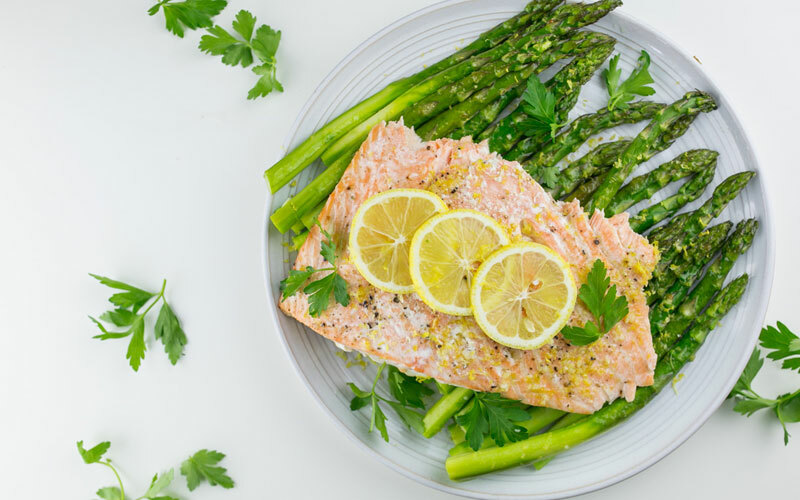 Flaky, pink salmon with a hint of lemon adds zest and energy to your meals. Baste salmon fillets with oil, salt, lemon, garlic clove and pepper thoroughly in a bowl. Leave to marinade for at least an hour, overnight if possible. Pre-heat oven to 175˚C (350˚F). Place the salmon on foil or baking paper. Place the asparagus spears and cherry tomatoes on top. Wrap the salmon completely, making sure no air can escape. 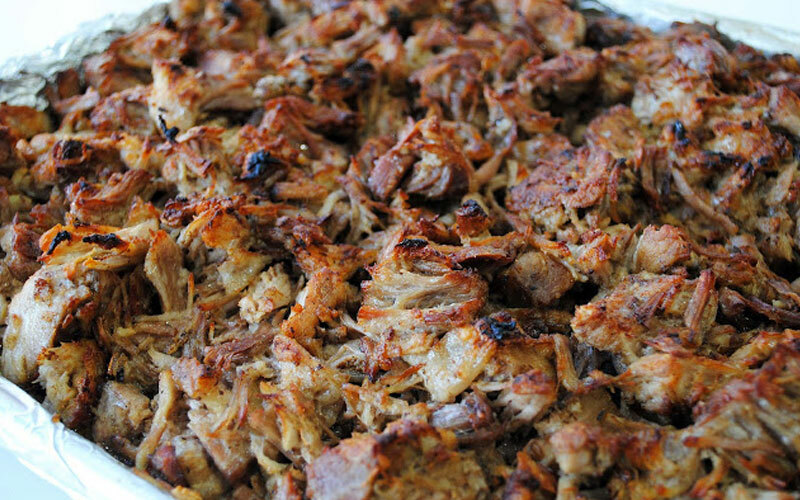 This punchy, fruity barbecue pork just melts in your mouth. Place the oil and garlic in a pan and bring to a high heat. Seal the pork on high heat until golden brown on all sides. Place the BBQ sauce, cumin, oregano, chilli powder, orange juice, apple and onion in a slow cooker. Add the pork, cover and cook on high for 5-6 hours, or medium heat for 8-10 hours until you can pull the pork apart with two forks. This tried and tested health meal provides you with a little spicy kick. Marinade the chicken with oil, garlic, spices and chili for at least 2 hours. Heat a griddle pan and add the chicken, cooking for 5-7 minutes on each side or until cooked through. 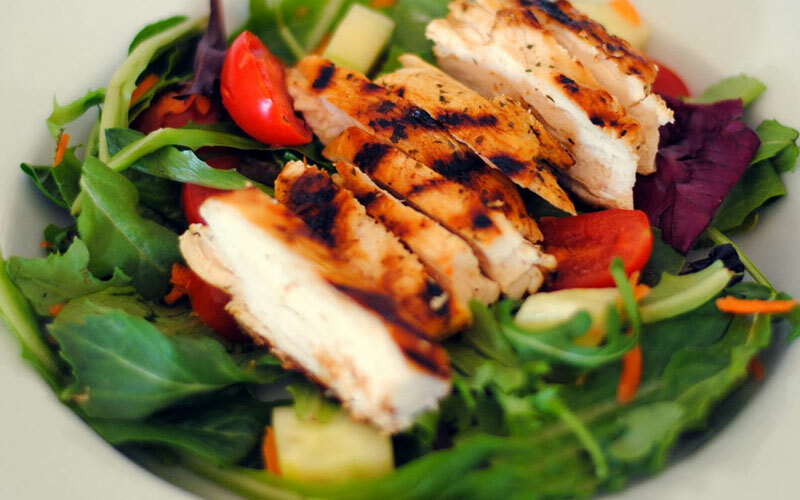 While the chicken is cooking, prepare the salad. Chop the onion, avocado and tomatoes and place on a bed of spinach. When the chicken is cooked, slice thinly and arrange on top of the salad. Throw in some salt and pepper to taste if you like. A small handful of fresh coriander is also a nice touch. 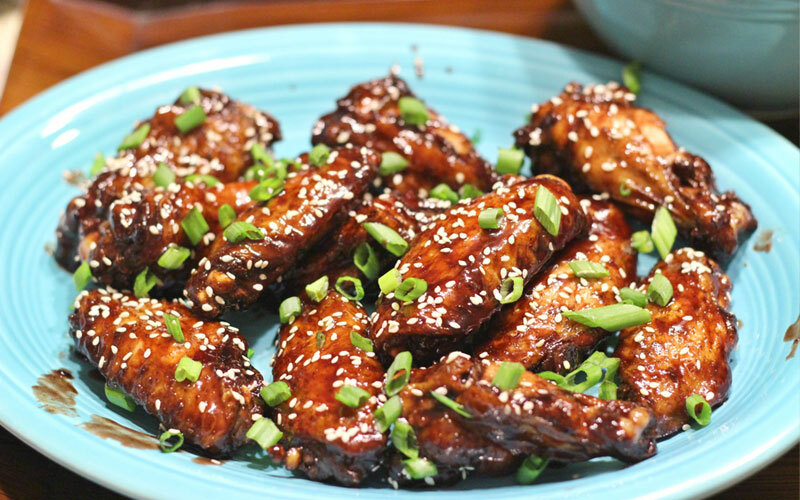 These sweet, smoky wings are fragrant and tasty in equal measure. Combine the marinade ingredients into a large bowl or sealable bag. Add the wings, give it a shake and leave for 30-60 minutes. Preheat the oven to 175˚C (350˚F) and line a large baking tin with foil or parchment. Place the wings on the tray, leaving plenty of room between them. Use the remaining marinade to baste the wings. Bake for 45-50 minutes until soft and tender. The wings should be sticky and a dark red color, with some charring. Serve with scallion garnish and mango squares. Eggs are the one true superfood you need in your diet – high in protein, vitamin d and biotin, they support both health and performance. Preheat an oven to 175˚C (350˚F). In a large bowl, mix the eggs, milk and flavor with salt and pepper. Sauté the onion, pepper and mushrooms over a medium heated skillet pan with a little olive oil. Once cooked, add the spinach until wilted. Throw in the egg mixture and crumble in the feta cheese. Place the skillet in the oven for around 10-15 minutes, or until the frittata is just about set in the middle. Power packed with taste and nutrition, this well-balanced meal gives your body everything it needs to be energetic and healthy. Cook the bacon until crisp in a skillet with a little olive oil. Scoop out a small amount of avocado to make room for the rest of the ingredients. 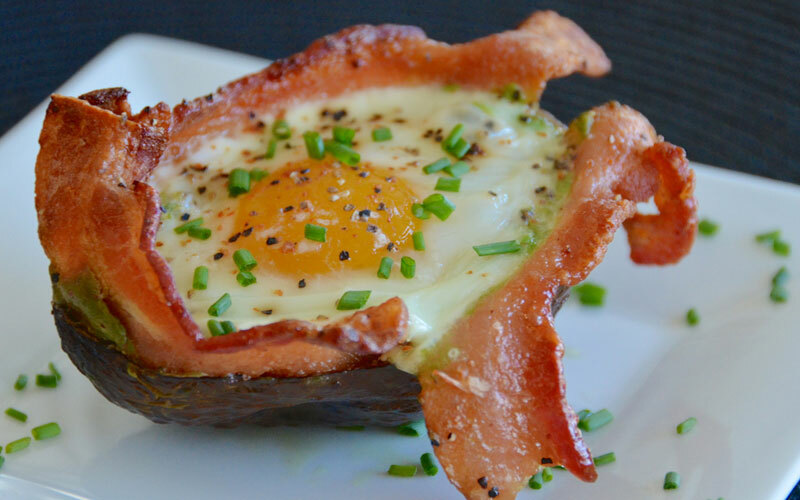 Place a rasher of bacon on top of the avocado, pressing it into the hole left by scooping out some of the flesh. Crack one egg on top of the bacon, making sure the yolk remains in-tact (don’t worry about the white if it dribbles down the side of the avocado). Bake in the oven for around 15-minutes, or until the white of the egg is set but the yolk is tender. Throw everything onto a plate and enjoy. Add your favourite dressing or a little pepper to taste. 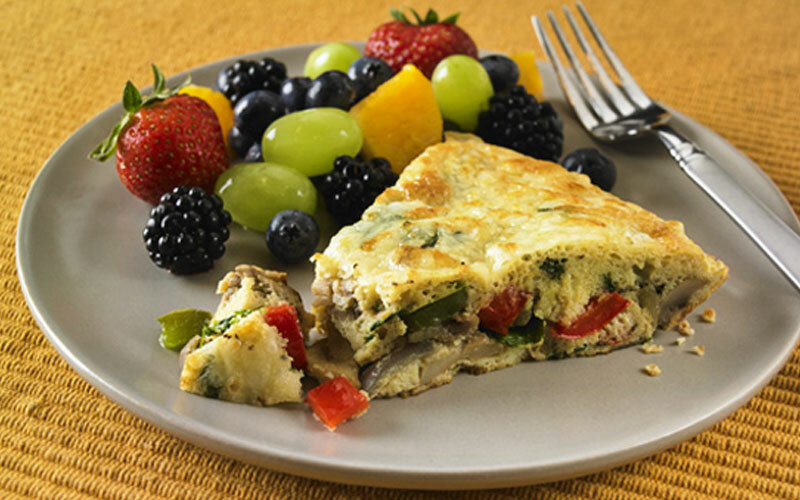 These recipes help to support all of your health and fitness goals by nourishing your body. Not only do they reduce excess carb intake in your diet, they provide a huge hit of fat-burning, muscle-building protein in minimal calories.